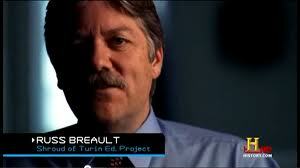 Russ Breault is one of the leading experts on the Shroud of Turin. He has appeared on several nationally televised documentaries airing on History Channel, Discovery Channel and the CBS News. He has participated in nearly every international research symposium since the first Shroud of Turin Research Project in 1981. He is the President and Founder of the Shroud of Turin Education Project which functions to raise general awareness of the Shroud with a specific focus on colleges and universities. He will be hosting a forum at Marytown in Libertyville, Illinois (see review of Marytown on this site) on Saturday, March 17 from 2:00pm to 4:00pm. Contact miyouth.org/shroud if you are interested in attending the forum. Mr. Breault’s presentation unfolds like a CSI episode featuring 150 images. The audience watches the investigation and this mystery is explored in an entertaining and educational way. How did you originally get involved with the Shroud of Turin? I have been intrigued with the Shroud ever since I learned that a team of scientists was going to analyze it in 1978. As a student, I was a writer for the college newspaper so I spent several months preparing for an article series that ran in the fall of 1980. That same summer, National Geographic published a major story on it. I called several scientists for quotes and by the time the articles went to press I was hooked. In 1981, I gave over 60 lectures at churches all around the southeast. Since that time I have participated in nearly every international conference on the subject. What inspired you to make this a major part of your life? I have always been intrigued the fusion of faith and science. I don’t believe we leave our brains at the door of the church. One of the most significant aspects of both the Jewish and Christian faith is their historical validity. With every scoop of the shovel archaeologists are finding more evidence in the Holy Land that confirms the truth and accuracy of Scripture. Could the Shroud be an actual artifact of the crucifixion of Jesus? That possibility is so enormous, that it trumps anything else we may ever find. Recently fragments of the Gospel of Mark have been discovered that may date back to the First Century. It is a huge find, yet it pales compared to the potential represented by the Shroud of Turin. Watching "The Real Face of Jesus" on the History Channel was an eye opener. Why are we so fascinated by the Shroud? The Shroud speaks to the world on many levels. When Leah, my two-year old granddaughter looks at the Shroud, she points and says, “Jesus.” Whether the Shroud is authentic or not, the whole world can look upon that iconic face image and know it either is or represents Jesus. For those of faith or perhaps searching, the Shroud represents the hope offered through Christianity. Did God really send his only Son into the world to suffer and die in our place? Did he really rise from the dead and defeat the power of death? Does he really offer that same victory to those who believe? The hope conveyed by the Shroud is that very hope that jumps off the pages of the New Testament. Whenever people that don't believe ask me what is the one reason why I believe in God I always say the same thing. Israel still exists. There is no human reason for Israel's continued existence. Why do you believe in God? The answer is both objective and subjective. Much like Saint Thomas Aquinas, I am gripped by both natural and supernatural revelation. God is known first of all through his creation. Whether one looks through the eyes of Hubble to the vast expanse of the universe or through the lens of an electron microscope to see the complexity and design of life, the hand of God is plainly evident. Despite the onslaught of evolutionary thought, which is largely atheistic, I know intuitively that complexity, order and design inherent in all organisms did not arise spontaneously by nothing more than random chance and natural selection. These processes by definition are unguided, undirected and emerge out of randomness rather than purpose. Yet nothing exists in my house without purpose or intent. From a pencil to a sheet of paper, it exists on purpose. The object did not define its own purpose; it was designed, engineered and manufactured to fulfill a pre-determined purpose by an outside intelligence. This is true of all life forms as well. The great question of our existence is; do we exist by purpose or by accident? I reject the cosmic accident theory therefore I must accept and embrace that I am created and designed on purpose to fulfill a purpose. Nothing can exemplify this more than God sending his Son to redeem a fallen race. It is the singular and most profound event in human history that tells us we have value, we have meaning and we have purpose given not by the government or ourselves but by God. This is a long way of saying that creation itself is why I believe in God. Breault On The History Channel's "The Real Face of Jesus"
What is the single biggest scientific evidence that this Shroud is from the body of Jesus of Nazareth (or from another man during this time period)? 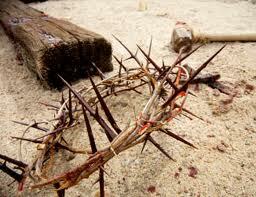 · The Crown of Thorns was a mockery for being called King of the Jews. Scrapes and blood flows are seen all around the head. · A severe scourging (120 scourge marks from the base of the neck down to the ankles)--this happened because Pontius Pilate did not think he was guilty of a crime worthy of capital punishment, therefore he hoped the scourging would be sufficient—it wasn’t. · A wound in the side to make sure he was dead before the body was given to Joseph of Arimathea for burial. Most times the legs are broken to bring about a speedy death so the bodies could be removed from the cross. Jesus was already dead so his legs were not broken. There are more similarities but these three alone are sufficient to reasonably identify the man as Jesus. You speak to both Christian and non-Christian groups? What are the biggest changes in your presentation from a largely Christian audience to a largely secular one? They are 80% the same. In both cases I treat the Shroud as a great mystery to be explored--comparable to the Pyramids or Stonehenge. It is a valid comparison--we are still trying to figure how they were built and by who? The same goes with the Shroud as one of the greatest unsolved mysteries in the world. Is it authentic or nothing more than a medieval hoax? 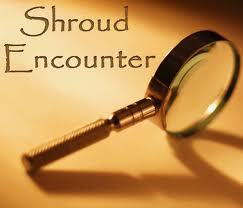 Shroud Encounter peels back the layers of mystery like a CSI investigation. I make no claim of authenticity. The audience must act like a jury in a trial. Whether it is fact or fiction—the audience must come to their own conclusions. The difference between the secular and Christian versions relates to the resurrection. No reputable scholar debates the historical existence of Jesus. A discussion of the Crucifixion as a historical event as revealed through the Shroud is perfectly legitimate for a secular audience. As to the cause of the image, the resurrection is offered as one of several alternatives. However, for a Christian audience, I will use the Shroud to explore in detail the resurrection as revealed both in Scripture and the Shroud. Was the image caused by the resurrection? It is a mystery and no one really knows—I simply explore the possibility. Who originally discovered the Shroud? Legend tells us that a cloth was taken from Jerusalem to Edessa, an ancient city in southern Turkey, sometime in the first century. The Apostle Jude Thaddeus is said to have taken it there. King Abgar is healed of leprosy as a result of seeing it. This is known as the “Legend of Abgar.” The cloth was later hidden away because of the Roman persecutions. It was rediscovered centuries later in 525 AD. It was two hundred years after Constantine and it was safe to be a Christian. The cloth was heralded as the “True Likeness of Christ—Not Made by Human Hands.” It remained in Edessa until 944 when it was taken by force to Constantinople and stayed there until 1204 when the French stole it during the 4th Crusade. It eventually arrives in Turin, Italy in 1578 and has been there ever since. It's huge at 14 feet in length? What is the historical and forensic documentation leading us to this Shroud coming from this era? The Shroud appears to be a genuine Jewish burial shroud and consistent with burial practices of a man who died by violent death. In the event of death where there is a significant loss of blood, the body would not be washed and would be wrapped in a single linen shroud. The cloth is manufactured with a 3:1 herringbone pattern, which is rare but possible during the first century. Comparable examples have been found in wool and silk but thus far have not been found in linen. Everything about the Shroud suggests it was a very expensive cloth. The scripture says that Joseph of Arimathea was rich man and purchased a “fine linen cloth.” Some speculate since Joseph was a Pharisee and a secret believer in Jesus, he might have purchased a cloth made with “fine twisted linen” which is what the high priests were supposed to wear when they made the annual sacrifice in the Holy of Holies. Such linen represented the “holiness of God.” Is that what Joseph was trying to convey? Jesus Christ was beaten, tortured, scourged, lanced and crucified. We say the words, but to contemplate the agony and pain is incomprehensible. We know of the agony and stress that Christ went through prior to the physical persecution and death, but how did Jesus die? Explain the physical process to us. Jesus probably died by hypovolemic shock, which is essentially death from extreme dehydration. Asphyxia may also have played a part since breathing on the cross is difficult. Jesus was already brutally scourged before he was crucified. The scourging, over 120 whip marks can be counted on the Shroud, would have caused a severe loss of blood resulting in severe dehydration. Add to this the loss of blood from the crown of thorns and the nail wounds, such loss of blood would have ensued bringing about hypovolemic shock and death. Christians are basically the only people you can mock and have no protection from hate speech guidelines. Obviously, Paul talks about believers being persecuted and believers have been ridiculed and scorned through the ages, but it seems like the attacks are all around us now in ways we never even dreamed of previously. The Shroud shows a man who has been beaten, mocked, whipped, nailed and killed. Jesus said, “In this world ye shall suffer persecution, but be of good cheer for I have overcome the world.” As the world grows increasingly hostile towards Christianity, we must remember that Jesus suffered far worse. Perhaps the Shroud is meant to give us strength to persevere with hope that darkened hearts might one day change. Young people are falling further and further away from the church. I am incorporated as The Shroud of Turin Education Project, Inc. with a stated mission: “To advance the knowledge of the Shroud to a new generation.” This is exactly why I make every effort to bring Shroud Encounter to colleges and universities across the country. The Shroud may or may not be authentic, but there is no question that Jesus is a historical person. Exploring the Shroud creates a unique visual vehicle to experience what happened to Jesus on his way to the cross. Perhaps the Shroud can help make Christianity real again to a generation so influenced by popular culture. The most important question regarding the Shroud is “what if?” What if it is authentic? What would be the purpose? The only miracle Jesus performed not witnessed by others was the resurrection. Could the Shroud be a silent witness to the one miracle that had no eyewitnesses? We live in an age when we communicate more with images than we do with words. Jesus is described in Scripture as “the image of the invisible God.” Is it possible that God allowed an image of his crucified Son to remain for this very age? Does the Shroud express the very love of God who speaks to us as he spoke to Doubting Thomas, “Be not faithless, but believe.” Thomas went on to say, “My Lord and my God”—the strongest profession of faith in the New Testament. Perhaps the Shroud gives doubters of the 21st century the same opportunity he gave to Thomas.